The Canadian dollar has steadied in the Thursday session, after considerable losses on Wednesday. 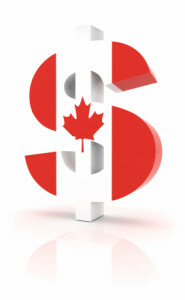 Currently, USD/CAD is trading at 1.3143, up 0.02% on the day. On the release front, Canadian Manufacturing Sales softened to 1.1%, edging above the estimate of 1.0%. Canadian ADP Nonfarm Employment Change rebounded with a gain of 11.6 thousand. In the U.S, construction numbers were mixed. Building Permits improved to 1.31 million, matching the estimate. Housing starts remained at 1.17 million, short of the estimate of 1.27 million. The Philly Manufacturing Index dropped sharply to 11.9, missing the estimate of 21.9 points. Unemployment claims edged down to 212 thousand, shy of the estimate of 215 thousand. On Friday, Canada releases CPI and the U.S publishes Preliminary UoM Consumer Sentiment. The Canadian dollar remains under pressure as the US currency continues to shine. On Wednesday, USD/CAD touched a high of 1.3175, its highest level since July 16. Strong U.S data continues to boost the greenback, and this was the case on Wednesday, as retail sales were unexpectedly strong. Core retail sales posted a gain of 0.5% for a second straight month, easily beating the forecast of 0.1%. If consumer confidence follows suit with a strong reading on Friday, it could be a sign of another strong quarter of economic growth. Negotiations over NAFTA have progressed slowly, but policymakers in Canada and Mexico are hopeful that the flexibility that the U.S has shown towards the European Union will extend to NAFTA as well. Canadian and Mexican officials are hoping to reach an agreement, despite U.S President Trump’s stated preference for bilateral agreements. NAFTA is a key component of the Canadian economy and with 80% of the country’s exports headed the U.S., the lingering delays in reaching a new NAFTA accord have weighed on the Canadian dollar. If the parties are able to reach a new agreement, traders can expect the Canadian dollar to move higher.